Dear Santa, all I want for Christmas this year is good weather during the hiking season, comfortable boots, and plenty of time to spend in the park. Oh, and a moose sighting. From the hiking trails of Glacier National Park we wish everyone peace and joy this Christmas. We are closing the office for a short while over the holiday. We will be answering the phones again on Monday January 6. Once again we find ourselves overwhelmed and amazed at how enthusiastic everyone is and at how popular the chalets have become. I am sorry if we were not able to create a reservation for you in the past couple weeks. My best advice is to monitor our availability calendar from time to time over the winter. That is the first place we will advertise any openings or cancellations. If you are worried about your deposit payment reaching us on time, please don't be. We are backlogged enough that we need to give everyone a reprieve. You have until the Thanksgiving holiday to complete your deposit. We will keep all reservations secure until December, after the holiday. Our phones were repaired quickly and we have been taking many reservations today. Thanks all for your patience. Your chalet enthusiasm is wonderful. We will continue to work through the backlog of online reservation requests through the off hours, we will be ready for your phone call again during office hours this week. We are informed by the provider of our toll free phone service that they are experiencing a technical error that is causing all connections to receive a busy signal. It is apparently an issue affecting more phone number than just ours. They were not able to provide a timeline for repair. We are accepting reservations through our online reservation request form, although there is already quite a backlog. Phone reservations will be available the moment our service provider completes their repair. We will begin accepting reservations by phone and through this website beginning at 8:00 am, Monday October 28, Mountain time zone. We know that there are a lot of happy hikers anxious to make chalet reservations. We love the enthusiasm. Here are some tips to help you through the gold rush. We will be taking reservations by phone during our office hours of 8:00am to 2:00pm. We only have the single phone line, so be prepared for busy signals. Connecting with us by telephone this week will be challenging. Please have patience. A telephone reservation does have the advantage of a friendly persons help and instant feedback on the state of your reservation. However, busy signals and re-dialing will be common. We cannot take messages or return your call. Our toll free phone line is the only way to reach us by phone. Calling the Nation Park Service or other area hotels will not help you with a chalet reservation. We would like to suggest that you take advantage of our online reservation request form that will be on this website beginning at 8:00am Monday. The form will let you send us a request and get on with your day. All online requests are personally reviewed in the order received, we will email you as soon as we handle yours. The online form is the easiest way for us to handle most reservation requests, so we are likely to create more reservations this way than by telephone. We will fill your reservation on your first choice of dates if we can, but it helps to have alternate dates in your request. Being flexible or having a range of dates for your visit will help us match you to an appropriate opening. Granite Park Chalet and Sperry Chalet are small hotels with limited occupancy and a short season, it is unfortunate when there are more good people wishing to stay here than we are able to host. If you are not able to create the reservation you want, be sure to check back from time to time over the winter and spring. There are often changes and cancellations that can create new opportunities. We appreciate your patience, your understanding, and your enthusiasm. For our centennial anniversary we are celebrating with some new specials and workshops for families. One child in your party, under age 12, can stay with us for $19.14 per night. And we have a new natural history workshop that is perfect for families and kids. We want 2014 to be a great year for your kids to see Glacier's backcountry. June 30 Through September 7th. Closing after breakfast on September 8. July 10 Through September 7th. We will begin accepting 2014 reservations on Monday, October 28. Accepted online through this website, or by phone. We intend to proceed with 2014 reservations on the assumption that the current shutdown will be resolved within the next nine months and we will have access to Glacier National Park for the summer season. However, the reservation process and your summer planning may be inconvenienced without the services and information provided by the National Park Service. The National Park Service was not able to complete the work of approving our 2014 summer fares before the shutdown began. We intend to open reservations with an anticipated fare that may be subject to change before the start of the 2014 summer operating season. Any resulting overcharges will be refunded in full. Please plan to pay only the deposit on your reservation until the NPS approved fare can be known. Should Glacier National Park be closed to the public on the date of your reservation, a full refund will be issued. Thanks to all of you who visited for helping make this a great summer. We had lots of good hiking, good weather, good people, and great adventures. There may still be some time for a few more nice hikes in the Park this fall, but the chalets will be closed and shuttered. Our office will be closed as well. We will not be answering the phones for a while as we re-group and get ready for next seasons reservations. 2014 reservations will not be available until October 28, the last Monday in October. We will publish the 2014 rates and operating season right here as soon as we have the info. Did you know that 2014 is the chalets 100th birthday? We will be celebrating the centennial anniversaries for both Sperry and Granite Park next year. It will be a great season to hike to a chalet. Watch this space for info about special centennial celebrations and events. Many people are expecting several more weeks of summertime weather where they live, but up here in the Glacier high country we are already feeling the first taste of autumn in the air. The temperatures are getting cooler and we are getting some afternoon rain showers. If you are visiting us in early September, be sure to have a warm jacket or fleece for the evening and mornings. Hats and gloves are not out of the question. Don't forget your rain gear either. Cold and wet is the worst way to spend your time up here. Don't let the unpredictable mountain weather catch you by surprise. The free shuttle service along Going to the Sun Road will end after Labor Day. The last day to ride the shuttle is Monday, September 2. If you are hiking into the chalet after the shuttle service ends, your easiest option is to park at the trailhead and use the same trail to hike back to your vehicle after your visit. Our office hours for the remainder of the 2013 season will be 9:00 am to 3:00 pm every day. August is a great month for stargazing at the chalet. Far away from any city lights, with only clean mountain air above you, the night sky comes alive in ways that the typical city dweller will never know. While you are visiting, I recommend taking a little time in the evening to step outside, turn off your flashlight, wait a few minutes for your eyes to adjust and enjoy the vista above you. Some notable stargazing events this month; the peak of the Perseid meteor shower happens on August 11-12. But there will probably still be meteors for several nights before and after. The full moon rises on August 20. The mountains by moonlight are a beautiful sight to behold. No matter what day you visit you should certainly watch for the Milky Way and the hundreds of constellations that only a clean night sky can show you. The Highline Trail is now open! Good news, everyone! The NPS has opened the Highline trail for the 2013 season. If you would like up to date conditions, please consult the NPS website. As always, be prepared for snow conditions, slippery wet rocks, debri, and changing trail conditions. Thanks for making safety your number one concern while hiking in Glacier National Park. I always carry yak traks for snow protection, use poles, and walk cautiously in the high country of Glacier. We hope to see you on the trail to Granite Park! The mountains are calling, lets go! Chalet staff is reporting that the Loop Trail is completely clear of snow all the way to the chalet, although it is a bit wet and muddy as you near the top. There are still snow patches and wet ground conditions around the chalet. The Highline Trail remains closed. The forecast for the week calls for hot weather, so be prepared with extra water for your hike. Get started early too, the cool morning air is easier to hike in. This heat is going to melt snow fast, expect high country trail conditions to change day by day. Hopefully the Highline Trail will be melting out soon. We are changing to our full time summer office hours starting tomorrow, Saturday June 29. You can reach us by phone from 9:00am to 6:00pm everyday through our summer operating season. Granite Park Chalet is almost ready for your visit. The crew that is opening and cleaning the chalet right now is reporting excellent hiking on the Loop Trail, clean air, beautiful mountains, and rapidly melting snow. We will be open and ready to serve you on June 29, this Saturday. Stop in and visit if you are day hiking in the Park. The Loop Trail is the ONLY access to Granite Park Chalet at this time. There is no forecast for an opening of the Highline Trail. There was an unfortunate fatal incident this week with a hiker that ignored the trail closure on the Highline Trail. Please respect closed trails for your own safety. Expect to find snow on the last half mile of trail and around the chalet. The snow is melting quickly, but be prepared for walking across snow and wet ground conditions if you are planning to visit us in the next couple weeks. For dealing with snow, I like to bring waterproof boots, a change of socks, a sun hat, sun glasses, and sunscreen. Many people find trekking poles help with balance too. Stay safe out there and enjoy your hike! Hey hungry hikers, we have our Granite Park retail menu ready for you. Click here to get started. Our menu can help lighten your backpack by having meals, snacks and beverages waiting for you at the chalet. We have personally taste tested everything to ensure the best quality foods we can provide. Prepare your meals in our kitchen. We have the stoves, pots and pans for you to use. Bring your own meals, or order from us. Plenty of snacks, water and beverages will be available over the counter too. Try the Montana Monster Munchie Cookies, they make great fuel for the next few miles of hiking. All the exciting signs of springtime in Glacier are here. 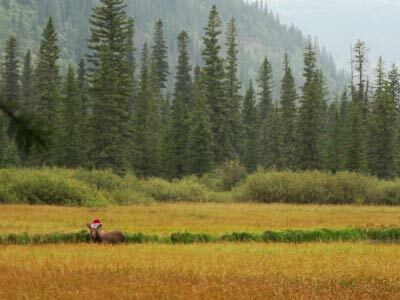 Plowing Sun Road is underway, bears are coming out of hibernation, and hikers are buying new socks for hiking season. We get asked a lot about when the road and the trails will open up, and the sad truth is that the locals here don't know either. Mother Nature sets the schedule for snow melt, and she does not discuss her plans. A warm sunny month of June vs. a cold wet month of June can change opening dates by a week or more. The Park Service has scheduled June 21 as the earliest possible opening for the entire Going to the Sun Road. It might be later, but it wont be any earlier. Until Logan Pass opens, you will be able to drive as far as Avalanche campground on the west side, and up to Jackson Glacier Overlook on the east. Do not plan on hiking the Highline Trail until after the first week in July. Instead, use the Loop Trail to reach Granite Park Chalet. We keep track of trail openings and closings through the trail status reports. It is a good idea to check them before any backcountry trip. I am getting excited for another summer in the mountains. I hope you are too. Glacier National Park is holding an artwork contest for high school age students to design the 2014 annual Park Pass. We think this is super awesome because the theme of the 2014 pass will be the 100th anniversary of three of the Parks iconic lodges, Sperry Chalet, Granite Park Chalet, and Lake McDonald Lodge. If you had a great experience on your trip to Glacier National Park and to the chalets, this is your chance to share it with over 14,000 people through your artwork. And we really appreciate your help celebrating our centennial anniversary!